So you’ve just got your iPad Mini and you’re excited. If you don’t know the best tips for making your Mini awesome. Customise everything and make it a more powerful and efficient machine which is of more use to you. Many people use their iPad just as a way to watch movies or just to listen to music, but in fact this is something which can do a lot of other useful things as well. This is something really annoying because its added automatically to the end of your emails and if you don’t like it then you should probably get rid of it. Deactivate this via Mail, Contacts, Calendars in Settings, or tap the Signature option to clear or change the message. We believe this is the first thing you need to correct especially if you are a person who sends a lot of official emails. It isn’t always annoying but the professionalism always doesn’t remain the same when you are texting from one of the handheld devices, rather than from your PC or laptop. From my personal experience, I have got to say this is something you really need to invest on because typing long emails or writing your novel on the Mini could be tiresome because of its small screen, so if you invest in a Bluetooth keyboard it will help you out. There are a wide variety of keyboards online, research and find the best for an economical price. Even if that isn’t what you are looking for, feeling that the screen could feel smaller for a keyboard kept far from it, go for a Keyboard dock. By default there are only four apps on the dock but if you are interested in adding two more to your dock then its possible. If you dock your favorite apps there won’t be any need of searching for your apps, especially if you have a lot of apps installed. To dock an app press and hold the app you would like to dock and when it starts shaking just drag it to the dock and voila! This is something which is really useful, especially if you have something really important to read, you could just save it to your reading list and you can read it later when there’s no Internet connectivity. Just cache it and read it when you’re on the plane or on a cruise. There is a unique button on the side of your Mini which allows you to either mute or lock your screen which makes sure it doesn’t change to landscape or portrait from the setting you’ve set it to. This button can be customized in the settings and so this is something else you need to check out when you get your iPad Mini. This is another useful tip when using the Apple iPad Mini. In safari, you can tap the share button and from there you can pin websites to your home screen. This would be really useful when you have to go into your company’s website through a single touch or if you wish to save something to read for later. Using this method there is no question of you forgetting to check out any websites you wanted to see. Whenever you wish to open an attachment, you could just tap and hold an attachment file in mail and the apps that could open them would pop up. Siri is one of apple’s most prized assets and it works like your assistant. To bring up Siri press and hold the home button for 2 seconds. When Siri comes up you could make Siri do the things you want to. Like if you say ‘Temple Run’ Siri would bring up Temple Run game. App folders are something you can use to organise your apps better. Like you could put all the camera apps into one folder or the games into one folder. Its something many people fail to use, if you’d like to do this just tap and hold an app until everything starts moving and then drag the app on top of another and then the app folder is created. There is an option to lock your iPad Mini if you don’t want anybody else playing with your prized asset. Another great feature is the erase data feature, whenever someone enters incorrect passwords for ten times in a row, the iPad Mini automatically erases all data. This is not at all recommended to people living with kids. If you wish to see all the photos that you have on your iPad Mini, you could easily tap the flower pot icon on the lock screen and it will start showing all the photos that are on your iPad. It will flip through your photos and if you wish to change the sideshow settings you could visit the Picture Frame in Settings. Its similar to the PC Reboot and this is something which can fix numerous errors or crashes without having to lose your data and useful apps. If you wish to reset your device, just press and hold the sleep/wake button and the home button together for at least 10 seconds. If you wish to save something on the web or a high score in a game or actually anything which appears on your screen, then its possible without using any app. Just hold the home button and tap the sleep/wake button and the picture would be available in your photo stream. This is something else which needs attention , the iPad Mini includes a variety of audio equalizer settings to changing to change the feel of your music. This feature can be found on Music tab in Settings. Use this to find your iPad if it got stolen or if you just misplaced it somewhere. You’ll have to enable the feature via the iCloud screen available in settings, and then to check the location of your iPad Mini just visit www.icloud.com. This feature would allow you to remotely play a sound on your device or you can even erase all data remotely. In order to make this work your device needs to be connected to the Internet. So these are some of the best tips you could use to have better output out of your device. All of these tips would come handy in your day to day activities like browsing the web and listening to music and much more. 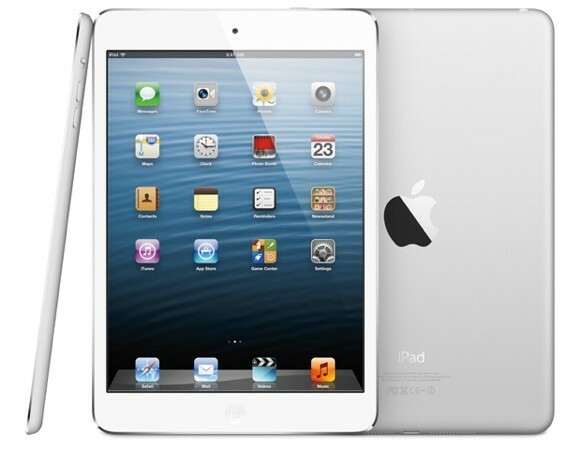 Check out how to increase iPad Mini battery life.